Wild on Waiheke's the home of Wild Estate Vineyard, Waiheke Island Brewery, and a relaxed style restaurant resembling a giant outdoor garden bar. It’s a place you can unwind & relax right amongst our vines and chill out on the beanbags in Beanvineland. Here you can come and roam wild for the day. Enjoy cracking food matched with our handcrafted beers while contemplating a sedate game of petanque. Alternately hit the tasting room for sampling of our very own wine & beer. It doesn’t matter if you’re on your own or with a large group – we cater to everyone. 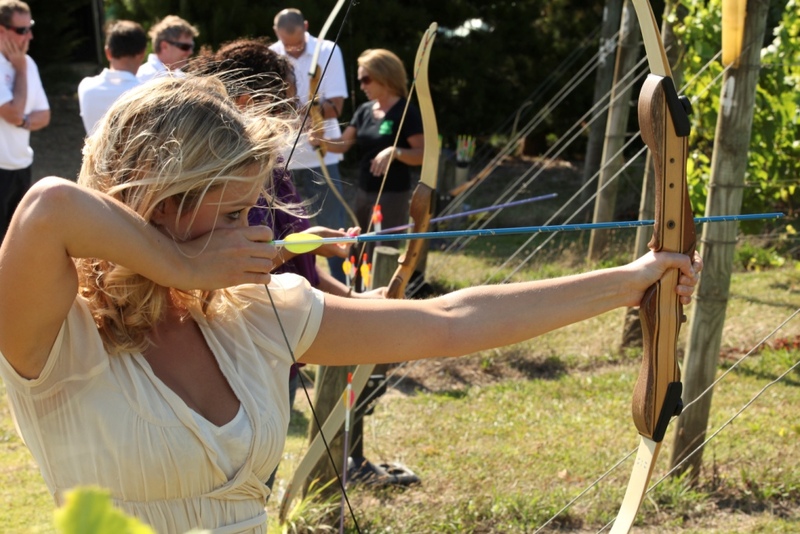 Being a multi-activity venue we provide a diverse range of fun outdoor activities (including archery, Wildtag and laser claybird shooting), a licensed café and brewery, all set within the magic of a Waiheke vineyard. We cater to singles, couples, families, groups of friends, and corporates for Christmas Parties, team building, functions and meetings. We booked a space for 30 people. It was a fantastic day. The kids enjoyed the giant chess and the play area, and the adults loved the food and drink and beer and wine tastings. It was all very easy to organise and everything was taken care of on the day. We loved the laid back, informal atmosphere and the staff were friendly and helpful. I'd definitely recommend Wild on Waiheke to anyone planning a fun, relaxed group event on Waiheke island. We came over as a work social club and thoroughly enjoyed the day out. It was a bonus that a few of us got to do the sculpture walk after lunch.